The Earth’s atmosphere is 78% nitrogen, but atmospheric nitrogen has limited availability for use in biological systems. Nitrogen is present in the environment in numerous forms which include organic nitrogen (that is nitrogen incorporated into molecules containing carbon atoms bonded with hydrogen atoms) in the form of amino acids and proteins of living organisms, ammonium ions (NH4 +), nitrite ions (NO2 -), nitrate ions (NO3 -), nitrous oxide (N2O), nitric oxide (NO), and inorganic nitrogen gas (N2). The processes of the nitrogen cycle transform nitrogen from one form to another as needed; many of these processes are performed by bacteria in their efforts for energy harvest or nitrogen accumulation in whatever form they need for their own growth and survival. Atmospheric nitrogen must be processed, or “fixed,” into a usable form in order to be taken in by plants for primary production. 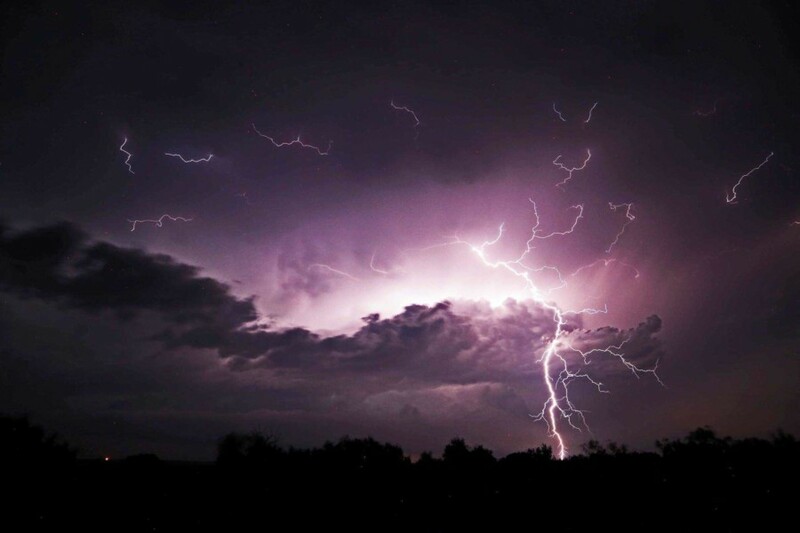 The tremendous heat and pressure generated by lightning accounts for about 8% of total nitrogen fixation. Most nitrogen fixation, however, is accomplished by bacteria collectively known as diazotrophs. Diazotrophic bacteria produce the enzyme nitrogenase which combines nitrogen gas with hydrogen to produce ammonia (NH3), which in turn is converted into organic compounds by the bacteria. Some of the bacteria like Azotobacter are free-living in the soil, while others, such as Rhizobium, are symbiotics living in root nodules of legumes (Family Fabaceae-- - peas, clover, mesquite, etc.). These symbiotic bacteria species produce ammonia in exchange for carbohydrates-- -the plant’s products of photosynthesis. Plants absorb soil nitrogen through their root systems in the form of amino acids, nitrate ions (NO3 -), nitrite ions (NO2 -), or ammonium ions (NH4 +). 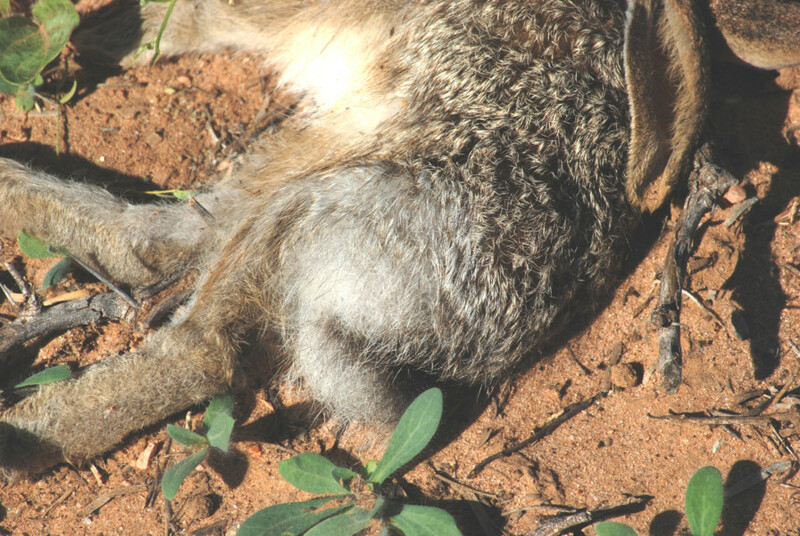 Most of the nitrogen in the cells and tissues of terrestrial animals can be traced back to the consumption of plants at some level of a food chain. When a plant or animal dies, or an animal voids waste products, the initial form of nitrogen is organic. Bacteria and fungi in the soil produce enzymes that convert the organic nitrogen back into inorganic ammonium ions (NH4 +). Ammonium is converted to nitrite ions (NO2 -) by soil bacteria like Nitrosomonas. Bacteria such as Nitrobacter then convert nitrites into nitrate ions (NO3 -) which are absorbed by plants for primary production. The nitrogen cycle is completed when nitrates are converted back into inert atmospheric nitrogen gas (N2). Soil bacteria like Pseudomonas and Clostridium accomplish denitrification under anaerobic (in the absence oxygen) conditions. Nitrogen in the gaseous phase is no longer available for plant use. The nitrogen cycle is crucial to the overall health of an ecosystem because the availability of nitrogen can affect the rates of primary production in plants and in decomposition and recycling of nutrients.